Easily the best computer I’ve ever owned, my 2006 Mac Pro (model 1,1) is still doing sterling work as my main machine. With two 2.66 GHz dual core Intel Xeon 5150 processors and 7 GBs of RAM it still happily chomps its way through most tasks that I throw at it and runs Lion without issue. There is however one main area where it’s just starting to look a bit long in the tooth and that’s disk access speeds. Boot up time has become rather pedestrian and Lightroom is just starting to creak a little when handling my 10,000 plus library of mostly 21 megapixel RAW files. Then there’s Photoshop which takes about 30 seconds to launch. I’m sorely tempted by a new 27″ iMac but I’m guessing there’s a refresh due at any time and have therefore set myself a budget of £200 plus VAT to ‘pimp’ my Mac Pro for the time being. Given my recent success with installing an SSD in my PowerMac Cube I decided my first purchase should be an SSD to replace the original system disk in the Pro. I opted for a Kingston 120 GB V+200 SATA3 unit which came in at £121.32 and mounted it an Icy Dock converter box for £9.57. Currently in the Mac Pro I have the original 160 GB system disk, two 400 GB drives in a striped 800 GB RAID and an additional single 750 GB drive. For backup I have an external 2 TB MyBook connected via Firewire 800. I decided I wanted a clean install of Lion on the new drive, not least because it’s quite difficult to copy the recovery partition that the existing Lion installation had created and because there was still detritus from my original PowerMac G5 which I’d copied over when I first bought the Mac Pro. Having already upgraded to Lion I no longer had the original installation files so using my MacBook which is still running Snow Leopard I grabbed the files via the App Store and created an install DVD using this guide. I pulled out all my other drives and installed the SSD using the Icy Dock. I then booted from the installation DVD which, by the way, took so long that I was literally just about to give up and restart when it finally launched. I formatted the SSD into one partition using Disk Utility and installed Lion, the process taking about 15 minutes. I decided against transferring any old files as I wanted to keep this install as clean as possible. I reinstalled Lightroom and Photoshop from DVD and a few other items from the App Store that I still use, replaced my other drives and tried the system out. The difference in speed is very noticeable, boot now takes about 10-15 seconds as opposed to the 1 minute plus it used to, Photoshop launches in less than 5 seconds and most other Apps launch instantaneously. It is certainly a very worthwhile upgrade. I’d also quite like a faster way of connecting external drives than the existing Firewire 800. I can’t imagine Thunderbolt coming to the Mac Pro any time soon and my mind therefore turned to USB 3 and eSATA. The later option is a simple and relatively cheap upgrade given that the Mac Pro sports two free SATA ports on the mainboard. 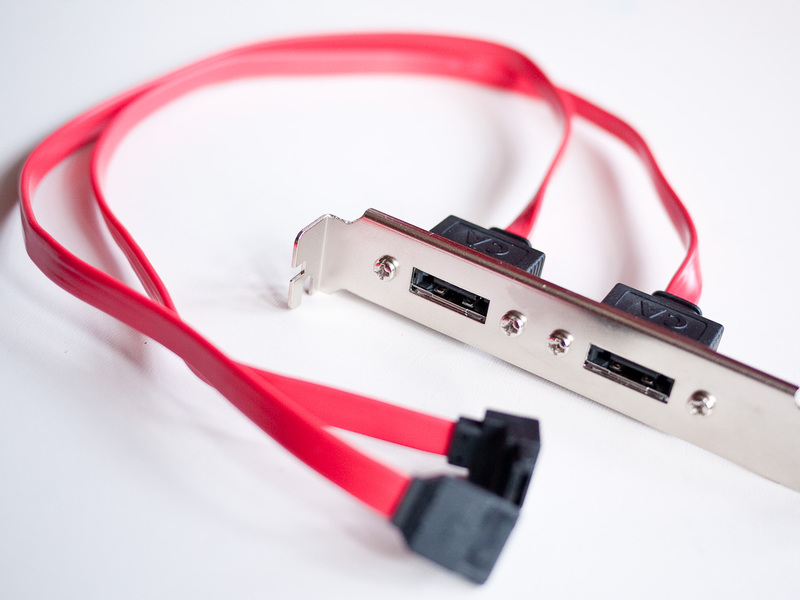 I ordered an upgrade kit from Sonnet for £22.49 which provides two eSATA ports via a faceplate which can be mounted in a spare PCIe bay. 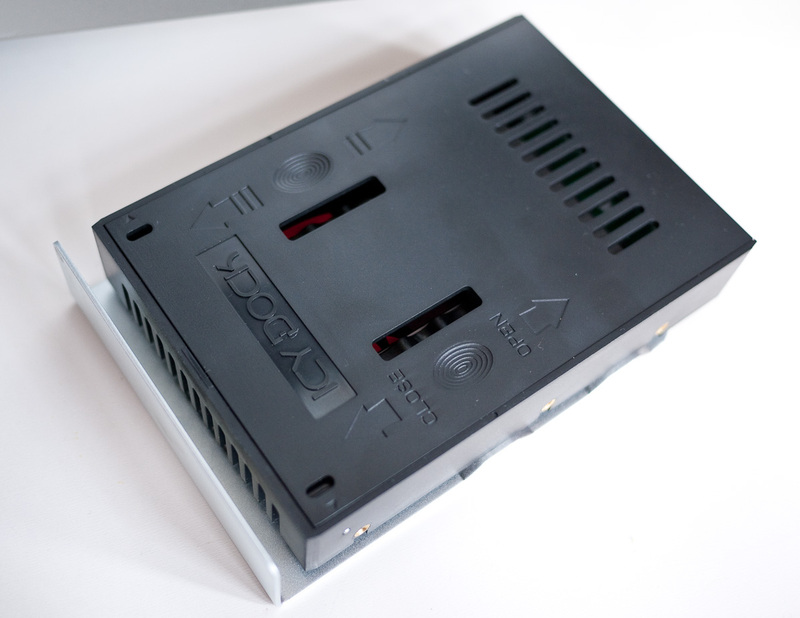 Fitting the eSATA kit is a little bit fiddly and in order to gain access to the SATA ports on the motherboard requires the removal of the RAM riser card unit, the CPU heatsink cover and the CPU fan assembly. Fortunately the Sonnet kit contains very clear and precise instructions so whilst fiddly it was a relatively pain free upgrade. Apple don’t currently support USB 3 with any of their products. You can however add it to the Mac Pro via the PCIe slots.  LaCie make a card and supply drivers for free download. The LaCie card is a little on the expensive side compared to other manufacturers and I noticed that this card by StarTech looks identical and uses the same NEC chip. I therefore decided to take a gamble and order the StarTech card which cost £16.66 in the hope that it would work with the LaCie drivers. Installation was of course straightforward, there is an optional Molex connector on the card which presumably provides additional power for any USB devices which aren’t self powered. I made an attempt to run an extender cable from the card to the spare Molex connector in the optical drive bay but couldn’t find a satisfactory way of routing it. As I will most likely be connecting an external drive I’m not overly fussed about the additional power option. 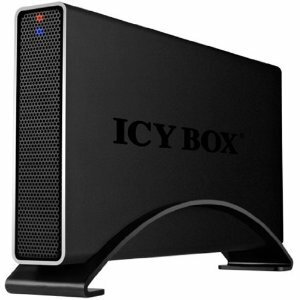 I opted for an Icy Box HDD enclosure with a USB 3.0 interface, specifically the IB-318StU3-B. 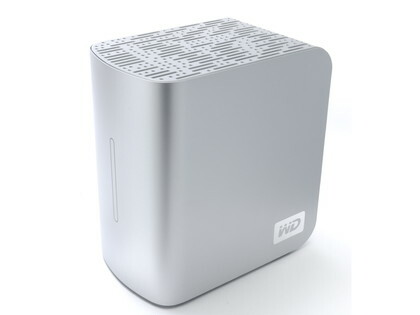 It’s cheap but functional, installation of the HDD is a simple affair and the unit is supplied with a USB 3.0 cable. After testing its SATA speed I removed a 750 GB SATA II drive that was installed in one of the Mac Pro’s drive bays and installed it in the Icy Dock. I hooked the unit up to the USB 3.0 ports but the drive was not recognised. I then tried connecting to the Pro’s built in USB 2.0 ports and the drive mounted with no problems. After a quick search I was able to find some drivers that would work with non LaCie drives and after successfully installing the Kext rebooted and the drive mounted whilst connected to the USB 3.0 ports! I used Blackmagic Disk Speed Test which I downloaded from the App Store to test the drive and found the drive was quicker whilst mounted in the USB 3.0 enclosure than it had been when connected by SATA. In fact the Seagate HDD is pretty much operating at its quoted maximum sustained data tranfer rate, I shall have to try an SSD in the enclosure next. Full results are below. I then connected the MyBook via eSATA and was somewhat surprised to find on testing that it was roughly twice as fast as my internal RAID. This didn’t really make any sense given that both were connected to the same bus. I ran a few more tests and confirmed the internal RAID was definitely under performing. I decided to repartition the drives and rebuild the array. I restored the data from Time Machine and tested again and found it was now much faster though still trailing the the MyBook. I’m assuming HDD’s in the MyBook are just faster drives. I’m not sure why the MyBook connected via Firewire 800 is proving slower than when connected via USB 2, a rather odd result. I’m pleased with the eSATA performance and as using this method connects directly to the onboard SATA the MyBook is sleeping and waking with the main machine. I hope shortly to have a USB 3 device to test, there seems to be a distinct lack of decent products available at the moment. So far then I’ve spent £170.04 + VAT. A USB 3 drive enclosure will probably take me over budget and one other upgrade I am tempted by, an ATI 5770 graphics card, will of course completely blow it. After much mmming and ahhhing about whether to buy a new iMac or Mac Pro I’ve decided instead to further improve my current Mac Pro. Out goes the ATI X1900 graphics adapter and in comes an AMD 5770. A simple swap out although an additional mini display port to DVI adapter was required to hook up my two Cinema Displays. This has allowed me to download some games from the App Store to try, namely Dirt 2 and Bioshock which both look stunning in 1920 x 1200 resolution. The 5770 is also even quieter than the less than noisy itself X1900, which is a nice bonus. Also on their way out the two 400 GB Seagate drives that formed my RAID. In their place, two Seagate Barracuda 2TB, 7200 RPM, 6 GBit/s drives with 64MB caches (ST2000DM001.) Seagate quotes average data transfer rates for these drives at 156 MB/s and a maximum sustained rate of 210 MB/s, this is a considerable improvement on the previous drives (ST3400620AS) which were rated at 78 MB/s maximum sustained data transfer rate. 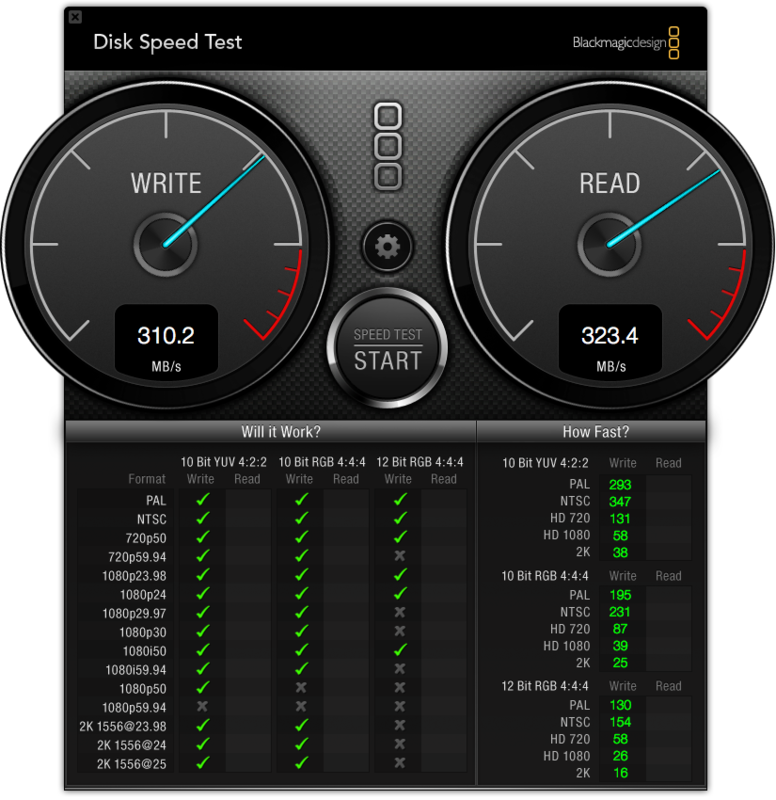 Once I’d swapped out the drives and built the striped RAID (0) via Disk Utility I again fired up Blackmagic Disk Speed Test and finally achieved some respectable results which I’ve added to the table above. The barracudas look impressive. Any thoughts on adding a SATA III card to make your SSD fly even faster ? I’m sitting on the fence for the 5770, does it make a big difference in the OS X animations like expose and spaces ? I find my 7300gt lags quite often. In general use of OS X I didn’t notice a huge difference over the original ATI 1900 which didn’t seem to have any lag, although I rarely use Expose. I have considered a SATA III card but am pretty chuffed with the performance of the RAID, and although the SSD isn’t achieving its full potential it’s a massive improvement over the original drive. Hi, thanks for the info on your mac pro 1,1. I’m going to upgrade to USB 3 using the star tech card like you picked. Can you advise where I can pickup the drivers that worked for you? Are they easy to install? Installation is fairly easy, you need to find a Kext installer, there’s probably advice on the above thread. Good luck! Cool, hope it works out for you, let me know how you get on. Hi just to let you know I managed to get it to work fine in 10.7. I’ve managed to get Mountain Lion on it now as well and the USB works under this too. 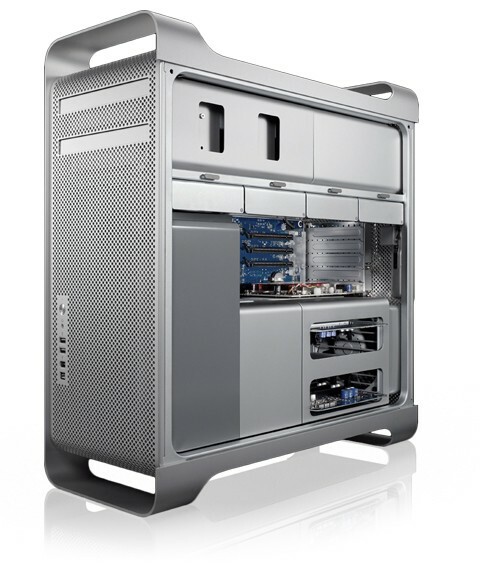 The Mac Pro 1,1 isn’t supported under but there is a complicated work around that does the job. I’ve been running it since release and it works. http://www.jabbawok.net/?p=47 is the blog I followed which I would recommend! Excellent work! I’ve thought about the Mountain Lion workaround as well but haven’t taken the plunge yet. I thought about getting an adapter to mount an SATA drive in the optical drive bay and running a cable to one of the spare SATA slots on the mainboard. This drive could then hold the boot loader and wouldn’t require me to lose an HDD slot. Anyway, one for the future and congrats on bringing your 1,1 up to date! There are a few strange things to watch out for if you take the plunge. The spare sata channels wont allow you to use the boot loader. You can use the ide channel though so ive got a strange mix of ide to data and sata to cf and i have it doing the boot loading off an old cf card. The neatest way would be to use a DOM module, there area few on ebay Item number: 120966079636 is one idea! Thanks for your help with the usb project! No probs, I actually have a spare DOM from this Wyse Terminal https://retrocosm.net/2011/09/26/bbs-on-compactflash/ not sure if it’s big enough but I’m definitely going to try it when I get a spare hour or so. Some nice speed there, is it a Mac Pro 1,1? Thank you for this thread. I followed your example and added a 512GB OCZ Vertex 4 SSD in the Icy Dock adapter to my MP1,1 and it flies now on 10.7.5. I also added an Apple ATI Radeon 5770 and it is like a new computer. I’ll get around to an eSATA extension port and a USB3 card soon, too. I think I might also go for 2 new quad-core CPUs and 4-GB of additional RAM. I can live with this for quite awhile. You’re welcome Matt. As you say the SSD and 5770 really make the 1,1 come alive. I recently installed Windows 7 on a spare drive and have been playing Far Cry 3 with no problems. Not bad for a six year old computer! It’s a shame that RAM for these has remained stubbornly high, I’d love to max it out but it’s just too expensive. I’m on 16gb in mine, I bought 4x 2gb modules via ebay at $105 i went for the mac 3,1 800mhz ones as atleast if my mac dies I can get a mountain lion compatable mac and use the same modules. 8GB 4X2GB APPLE MAC PRO 2008 3,1 800MHz FULLY BUFFERED MEMORY RAM from seller Bill Skroczky 1-800-4-memory. have used them twice now and good stuff with proper heatsinks. only downside is the post office / tax man charged me £25 in import tax! Cool, didn’t realise they were compatible! I’ll take a look. Is it “MB882SP-1S-2B” the right converter box for Mac Pro 1,1 (2006)? Hi Paolo, yes that should be fine, I’m pretty sure that’s the one I used. Your SSD speeds are so low! you should check on the “negotiated link speed” under sata in system information, You may be getting Sata 1 speeds for the SSD. It could also be due to the older chipset and slower ram but who knows. Hi Jack, something was definitely holding things back. I should update the table as read and writes are now around the 275 MB/s. Still not great by modern standards but the 1,1 has SATA II which tops out at 300 MB/s so nearly there. The negotiated link speed is 3.0 GB/s, incidentally the negotiated link speed on the Apricorn PCI card that I recently installed is 6.0 GB/s. Hello Charlie, I did find your site and threads very interesting, especially because I find myself in the same position as yours. As a pro photographer in Paris, I own a 2006 MacPro (so reliable!) on which I already upgraded the graphic card with an ATI RADEON 5870 and some additional RAM reaching now 10Gb. However working henceforth with a Nikon D800, I tend to find my new files very heavy and my photo softwares are getting very slow lately as a result. So I intend to change the CPU for 2 Intel Xeon CPUs X5365 3.00 GHz 8M 8-Core (which is rather simple to do) and add a SSD which I want large in order to put Snow Leopard (10.6.8) and 2 or 3 of my photo softwares on it. What in your opinion considering your experience now in SSD would be the best solution: in a box in one of the bays or inside the empty DVD location via a PCI card. I am looking for the fastest working solution. Many thanks in advance for your response. I think I will go for a Samsung SSD 750Gb 840EVO and probably a 3,5 box to fit it inside one of the 4 bays. Has anyone a comment to make on this choice? Hi Serge, I think your best bet would be to get a 2.5 – 3.5″ adapter and install the SSD in a spare drive bay. It’s certainly the easiest and cheapest method. 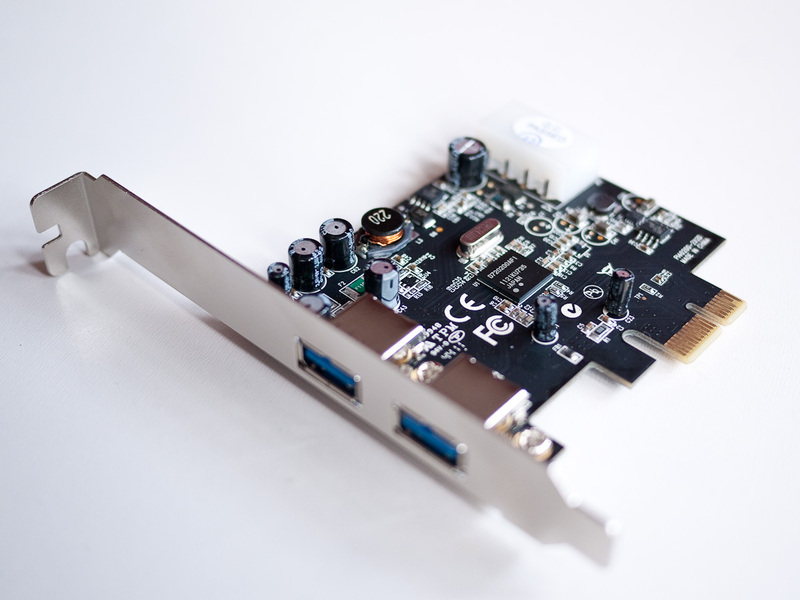 Also, take a look at the Apricorn PCI card that can hold an SSD. I recently installed one and noticed that its negotiated link speed is 6 Gigabit rather than the 3 Gigabit of the onboard SATA. Hi. I finally purchased à Samsung SSD EVO 840 1 Tb. I will keep you informed of it’s installation when I will get it. Hi, I’m curious about how the Apricorn PCI card perform? Was considering to buy one but hold back by the 3 Gigabit speed. Looking forward to your experience. Hi to all. I finally decided to reorganize my HD contents. So sorry Jack, but I did not go for the Apricorn PCI card. Who knows I might try the Apricorn one day? But I am very happy with the actual configuration. I just bought this on ebay for 50euro. Guess I’ll try out the Mavericks SSD on it.